A Feathercraft kayak is the sum of many talented people, the highest quality materials, and exceptional customer support. 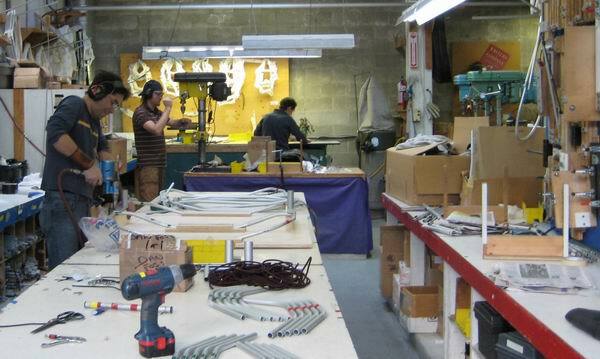 Each kayak is hand-made by individuals who take care and pride in their workmanship. To begin to make the frame, aluminum tubing must be cut and the ends deburred. Tubes are drilled, bent, formed, riveted, hardware attached and sections joined with shockcord. Small parts are machined and attached. We do this in our own shop. The skin requires cutting, sewing, trimming, RF welding, hot air welding and assembling. We do all this, too. We use only the highest quality materials, made in North America. Our deck and hull materials, the best in the world, are made especially to our specifications by a small, environmentally-efficient mill in the US. 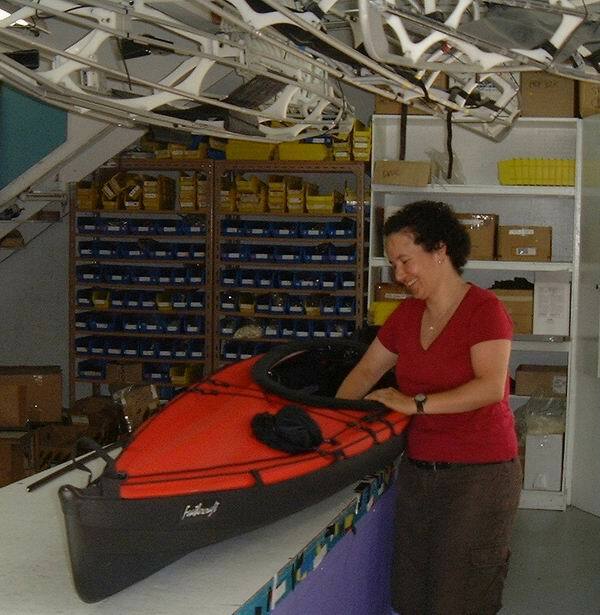 We assemble each kayak, fitting the frame to the skin. The boat is completed with its accessories, including the seat-sling, seat, rudder, spray skirt, sea sock and pack bag—all made in-house. Once the kayak is complete, end caps are glued to the skin and allowed to cure overnight. This also allows one final check of the sponsons staying firm, holding air. Why don’t we go off-shore for production—which is becoming the norm in the outdoor industry? We feel that with the complexity of a product such as ours, made in small quantities, the quality would suffer gravely. Philosophically, we also wonder whether a global production strategy is environmentally sustainable. If you were to add in the non-reported extra pollution and energy costs of manufacturing overseas and shipping home, the cost difference could disappear. Most of us at Feathercraft have worked and played on the West Coast for many years. Many of us are kayakers. We all care about trying to work in a sustainable way. We try to waste as little as possible. Aluminum off-cuts are recycled; many fabric off-cuts are passed on to other sewing companies; even rough scrap is often used by students from a nearby art school. But, we are far from perfect. There is still more that can be done. 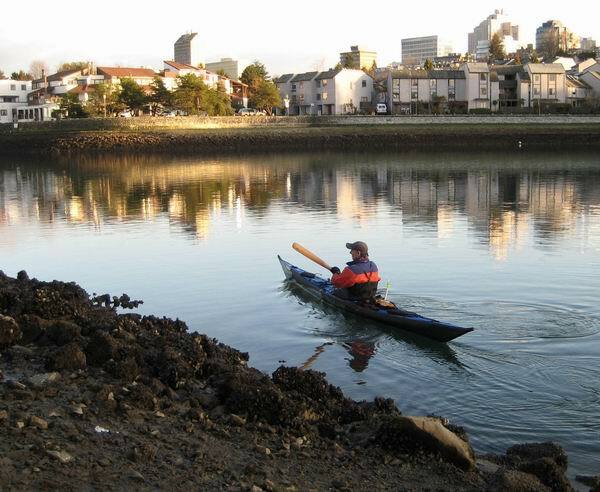 I have been kayaking the West Coast and many other parts of the world since the 1970’s. Sadly, I have witnessed a general decline in the state of the natural world: forests dismembered, top soil washed away, fish gone. Even False Creek, the inlet in Vancouver where our shop is located, is badly polluted. We have participated in water sampling programs and sponsored fish survival studies. Our accomplishments are small, but we carry on. As owners, or potential owners of kayaks, we are sure that you have been touched by the natural world, and would like to help to preserve or regenerate it. We encourage you to get involved.